Add an Alps Mountaineering foam mat to your sleeping system for improved comfort and heat retention. Available in four sizes, you can choose the one that best fits your needs. The foam mats are all extremely lightweight so you won't be hauling along too much extra weight on your next hike, but will be adding enough padding to make a noticeable difference in how well you sleep at night. Add an Alps Mountaineering foam mat to your sleeping system for improved comfort and heat retention. Available in four sizes, you can choose the one that best fits your needs. The foam mats are all extremely lightweight so you won&apos;t be hauling along too much extra weight on your next hike, but will be adding enough padding to make a noticeable difference in how well you sleep at night. 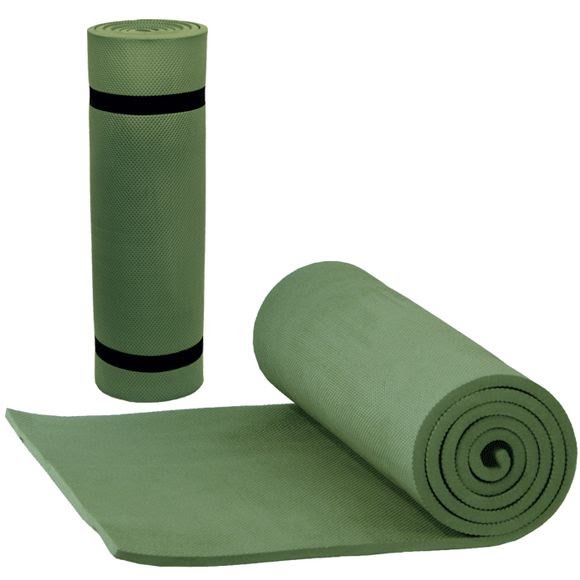 The textured foam insulates to keep you warmer and also keeps the mat from sliding around. Each foam mat comes with straps for easy transport and storage.